Now there’s no confusion as to who gets which stocking, even if the little ones can’t read! How thoughtful would this be to have one for every member of the family, even the pet! Just upload image and type in name below. Size 12″x16″ (12″ wide from edge to edge of boot. Comes with soft cranberry red velvet polyester backing. Front is printed on 10oz. 100% cotton canvas. Check if you’d like the matching ornament. 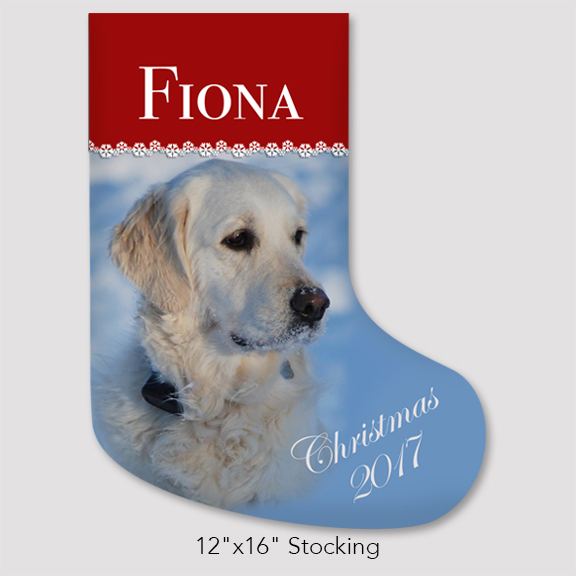 Now, there’s no confusion as to who gets which stocking, even if the little ones can’t read! How thoughtful would this be to have one for every member of the family, even the pet! Just upload image and type in name below. 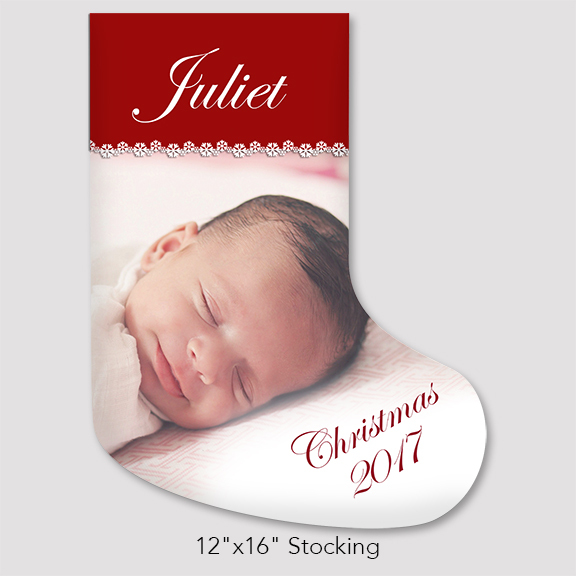 Be the first to review “Custom Christmas Holiday Stocking” Click here to cancel reply.